Will the federal budget’s incentives help Brampton homebuyers? With more and more Canadians shut out of the housing market’s hyperactivity, the numbers suggest a $1.25-billion program rolled out Tuesday in the new federal budget, will act as an incentive for those eager to enter the real estate market as first-time home buyers. The multi-pronged program, aimed directly at millennials, seems readymade for Brampton with one of the youngest populations (average age 36.5, well below the national average of 41) of any major Canadian city. Brampton’s youthfulness dovetails nicely with the average age of first timers into the market – just over 30 years, according to Statistics Canada. Some industry experts suggest the new program will relax the mortgage “stress test” that has so far kept young home seekers from meeting the high fiscal standards of a super-heated market. Will Brampton’s millennials finally reap big rewards after sending five Liberal MPs to Ottawa in the 2015 election, under the party’s pre-election plan to woo young voters? Finance Minister Bill Morneau said his government is trying to tweak policy that would allow younger Canadians to get into a home without overheating the market. Under the program, new buyers who meet minimum down payment requirements, and apply to finance five or ten percent of their mortgage through a shared equity program administered by Canada Mortgage and Housing Corporation, will have 10 percent of the price of a newly constructed home and 5 percent of the cost of an existing home paid by CMHC through a shared equity mortgage that lowers the monthly borrowing cost. The incentive is paid back when the borrower sells their home. This larger credit, explained Morneau, should increase the supply of housing in big cities like Toronto and Vancouver where huge demand is causing prices to spike. Southern Ontario is the biggest house market in the country, and 3.5 million more people are expected to move into the Greater Golden Horseshoe in the next generation. Ottawa wants to jack up the amount first-timers can withdraw from their RRSPs from $25,000 to $35,000, or $70,000 per couple, for a new home. The limit hasn’t moved in the past decade, despite constant growth in the housing market. While the CMHC incentive numbers seem to add up for Brampton’s young buyers, it seems unlikely that many first-time buyers will be able to take advantage of the increased RRSP contribution, as most young buyers don’t have much padding in their retirement accounts. Brampton’s large mix of newcomers to Canada who enter the housing market relatively early, also poses unique challenges. One highly decorated realtor who has worked this market for 35 years, isn’t sure some of Ottawa’s efforts to make housing more of a reality for the city’s dreamers, will work. 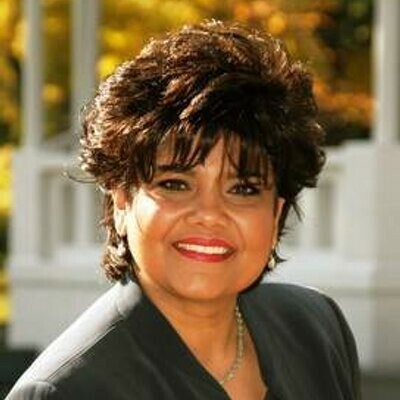 Maria Britto, is an independent contractor with Remax Realty Specialists Inc. headquartered in Caledon. The first female president of the Brampton Board of Trade (1997), and healthcare chair of the Central West LHIN in Brampton for six years, received the realty industry’s Lifetime Achievement Award as well as being named a member of the Re/Max Hall of Fame. As a former Brampton Business Person of the Year (2003), and Citizen of the Year (2010), she knows the local market intimately. She understands what Ottawa is trying to do, but thinks any initiative extending the time it takes to pay back mortgage debt is a non-starter – for young or old buyers. Besides, Brampton isn’t the same market as Toronto, she says. In fact, people should look at another number when it comes to judging if the program will work here. She says there’s already a built-in incentive to shorten the debt load. “People never actually look at the amount of interest they are paying on their debt,” she explains, and that’s why more people contributing to pay off a mortgage is working. She estimates the average home in Brampton ranges from $750,000 to $1 million, and townhouses from $550,000 to $750,000. The record number of realtors purchasing licenses here in Peel (and especially in Brampton), shows the local market is still extremely healthy. She would like to see younger home buyers look for creative ways to pay off their homes quicker – like what is being done by many of the new arrivers. Britto says the Brampton market is not as hyper-inflated as Toronto, and has now calmed down to 2016 levels. But how long will it stay there? It’s estimated that the city’s population will expand by 70 percent between 2016 and 2041, while construction on dwellings will grow by 60 percent. Household sizes have grown too. 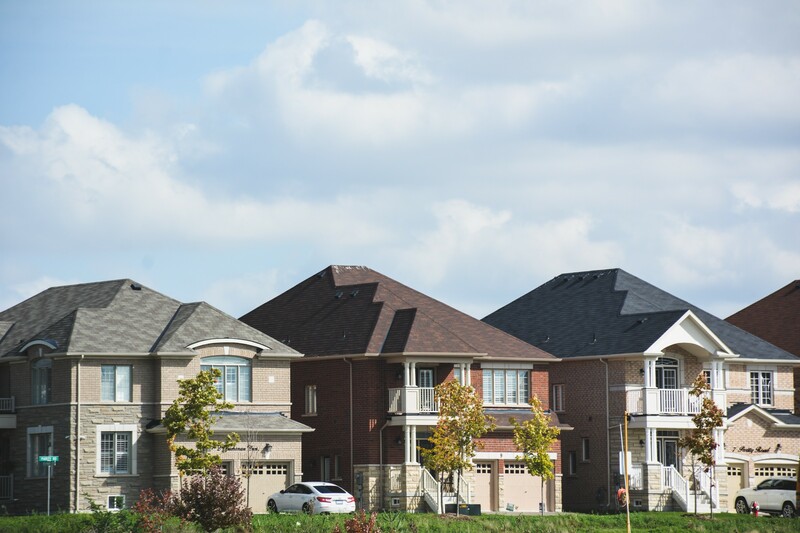 Brampton has the highest proportion of multi-family households across the Region of Peel, and according to the ’16 Census, 12 percent of all private city households had two or more families – compared to the provincial average of 2.8 percent. Brampton also has the highest number of residents per house in Ontario, according to the 2016 census. The average home here has 3.5 dwellers, compared to 2.6 in Ontario and a national average of 2.4. That means 46 percent more people live in the average Brampton home compared to households across Canada. This greatly changes the housing dynamics in the city and could be one reason, with more people contributing to mortgage payments, that Brampton home prices have been rising recently at a higher rate than most Canadian cities, including Toronto. The numbers back up Britto’s contention that more residents in a home are contributing to pay down debt and drive up prices. While Brampton’s average price of a single-family home was almost $700,000 in 2016, compared to a nearly $1 million in the rest of the GTA (Toronto prices contribute an oversized amount in elevating the GTA average), Toronto Real Estate Board numbers show over the last five years prices in Toronto have gone up 59 percent in Toronto, compared to 67 percent in Brampton. The days of Brampton representing a low-cost housing market for people commuting for work elsewhere, are over. At the end of 2018, the average home price (all categories, including condos) in Toronto, was $845,000, in Brampton it was about $620,000, according to Point2Homes. There’s also a gap between the rich and poor neighbourhoods. 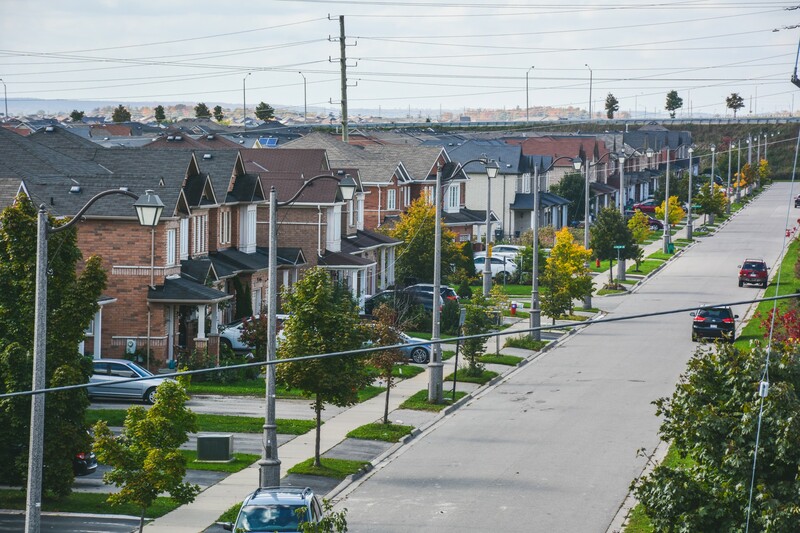 In Peel region (and particularly in Brampton), a study by United Way shows 52 percent of neighbourhoods are considered low income, meaning prices in other areas of the city are likely much higher than the average, because of the high number of low-income areas. This also suggests lower prices, according to market realities, in the 52 percent of neighbourhoods across Peel where average income is low. The Pointer has written extensively about the proliferation of illegal secondary units in Brampton. Rough estimates put the number between 30,000 and 50,000 (a 2012 city report included the staff estimate of 30,000). As Britto points out, these units might be easing the burden on homeowners who are carrying big mortgages. A second unit bylaw issued in 2015 allowed one unit per household, but it’s still unclear what the actual numbers are today because of so many unregistered units, as only a fraction of secondary units have actually been registered, despite new requirements to do so. Brampton’s realty market is driven by tremendous population spikes over the past few years, and it’s now the second-fastest growing city in Canada. The unaffordability of single-family homes, and the slow pace of enforcing illegal secondary unit legislation, is having an impact on the local market. Still, government officials are unsure how big the impact really is. Britto doesn’t think the tweaks in Tuesday’s budget will lead to a massive influx of younger buyers into the Brampton realty market. She also points out that many of the new homes being built today are actually being designed with secondary units in mind. Ottawa hopes the new program for younger homebuyers will pass through parliament and be ready for a September launch. Jason Dean, a faculty member in Sheridan College’s School of Business, says young homebuyers are caught in a dilemma: if they opt into buying a home, they could be “house poor” for quite a long time. Even those making decent six-figure salaries, who hold an $800,000 mortgage will not have much left at the end of each month. He says time and diminishing land reserves will put a governor on chances of buying a home in the future. The next great wave of people into Brampton will eat up more greenfield “and affordability will only get worse,” he explains. Another issue for younger buyers in Brampton is the lack of mid-size housing, the "missing middle" as its called. The federal incentive through CMHC is ideal for young buyers looking for an affordable option somewhwere in between apartments/basement suites and larger single-family homes. 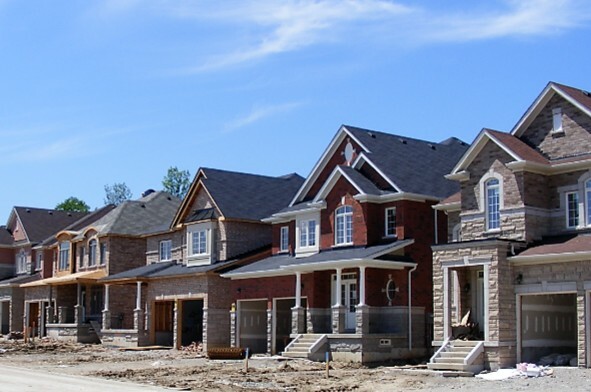 But without much condo, townhouse and other "missing middle" stock, Brampton isn't a viable option for many young buyers looking to climb up the housing ladder, in a place with most of the middle rungs missing. The housing supply here, driven by developers, has for decades featured relatively large subdivision homes that many millennials, concerned about cost, right-sizing and sustainability, just aren't interested in. But these homes still enjoy wide appeal among many newcomer groups with extended family members and multiple generations living together, many from parts of the world where large homes are a status symbol. Dean says more millennials in the marketplace will only drive up prices, and government efforts to cool down markets will be fruitless. “It will only lead to bidding wars,” he predicts, with the effect that prices will be pushed upward, negating the impact of the incentives. Sellers and new-home builders could be the big winners. Opposition MPs and the building and real estate sectors have been pressing the feds to do something to help younger homebuyers shut out from the big markets by skyrocketing prices. But is there really a push by millennials to buy? The age-group is untangling many of the conceived notions of the world, built up over the years by their parents, the boomers. Millennials have been dubbed the “enigma generation.” They account for 21 per cent of consumer discretionary purchases. In Tomorrow-land, a term coined by Jeff Fromm, president of FutureCast, and co-author of Marketing to Millennials, he thinks brands creating meaning and intrigue and offering an “experience” will consistently outperform brands that use more tried and true methods. Fromm calls this new breed, the “millennial mindset consumer.” Entire business sectors are now being caught off guard – including real estate. Explains Fromm: Millennials find the boomers’ era of excess abhorrent. They don’t want to drive a BMW. They don’t want to buy a big house. They live their lives as unfolding narratives, where existence is an adventure – not a path to entitlements and riches. Britto agrees, partially. The idea is not to get caught up in paying debt, she says. They want to travel and experience the world. Will Ottawa’s new program help millennials? Brampton is a unique market driven by a large visible minority/majority cohort that still embraces home ownership. Britto says it’s this demographic that will use whatever fiscal tools are available to them to pay down debt, whether that includes the government’s new incentives or not. “They love land. They love houses,” she says.